So, the house of cards collapses. 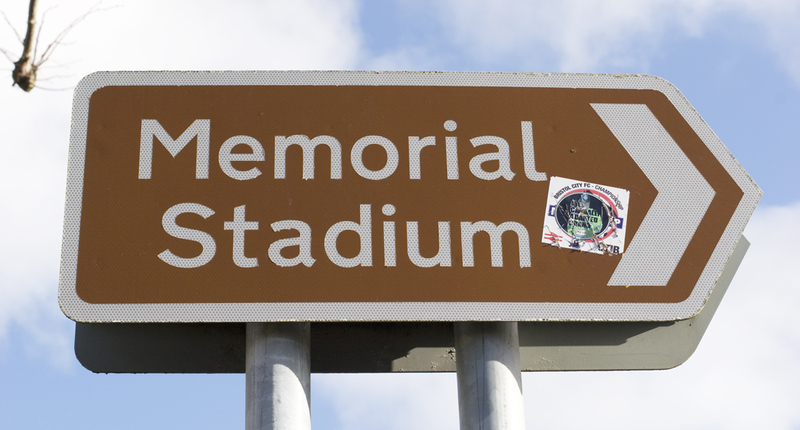 “Bristol Rovers’ hopes of moving to a new stadium were dashed as a high court judge ruled that Sainsbury’s were not duty bound to buy the Memorial Ground” (http://www.bristol247.com/channel/news-comment/sport-01/football/rovers-stadium-move-off-after-court-ruling). The Memorial Ground is a special place. It was protected for decades by Bristol City Council and was included in the Local Plan L8 (now apparently superseded by DM5 – Protection of Community Facilities) as a “valuable asset” for being a sports ground. This policy was expressly developed “in recognition of the benefits – social, economic and environmental, of providing sporting areas to accommodate spectator sports within urban areas and thus easily accessible to large areas of the resident population”. An exception to this policy was made under the condition that a new sports stadium would be created within the ‘locality’. (The Council then determined that the UWE stadium was sufficiently local). The exception to L8 cannot be justified without this plan for a new ‘local’ stadium and so if the UWE stadium is not to proceed, policy L8 (or DM5) should now, once again, be protecting the Memorial Stadium. TRASHorfield and I are not opposed to the building of a stadium at UWE; but we are opposed to the destruction of the Memorial Ground for the building of a supermarket. A Sainsbury’s supermarket would cause traffic congestion, air pollution and noise pollution – and threaten the viability of local independent businesses. With so much still uncertain about the site’s future, serious concerns remain about Bristol City Council’s permission for daily 19 hour heavy goods vehicle access to the site via residential roads. Moreover and significantly, the Memorial Ground is a sport heritage site, laden with rugby and football memories – and nearly a hundred years old. It is a special and practical type of WW1 war memorial and should remain dedicated to sport and recreation, as was intended by its founders. The “Mem” is not a brownfield site. The Directors of Bristol Rovers have failed to grasp these simple facts – hence the strong objections to the prospect of a Sainsbury’s supermarket on the war memorial sport ground. We would welcome a proper discussion about possible future uses of the site – a future which does not trample on local businesses, nor on the health of local people. This famous sports ground could be modernised, in a fitting and proportional way, given its war memorial status and residential setting. The Memorial Ground was built as a living tribute to three hundred rugby sportsmen soldiers who were killed in the First World War. Whoever owns the site is the custodian of a heritage asset paid for by Bristolians and entrusted for sport or recreation forever. 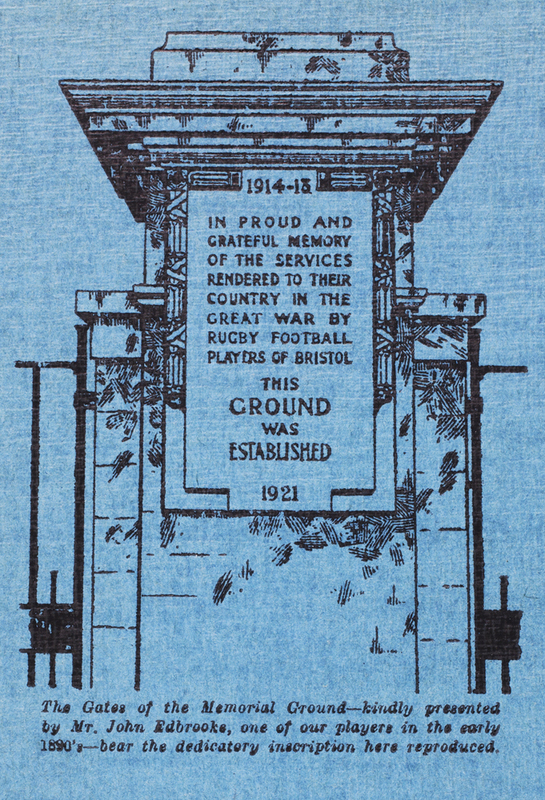 It is Bristol’s largest, most poignant and most effective war memorial – it ensures frequent remembrance of the fallen sportsmen, by sport, played at a sports ground. This entry was posted in Uncategorized on July 14, 2015 by jamiecarstairs. Sadly, there is no law against desecrating Bristol’s most moving war memorial, but then who would have thought that such a law would be necessary? The spirit of the law might be considered? Dying for your country might be respected? The notion of the military covenant might apply? Do BRC and BRFC fan’s memories of a very special sporting venue count for nothing? 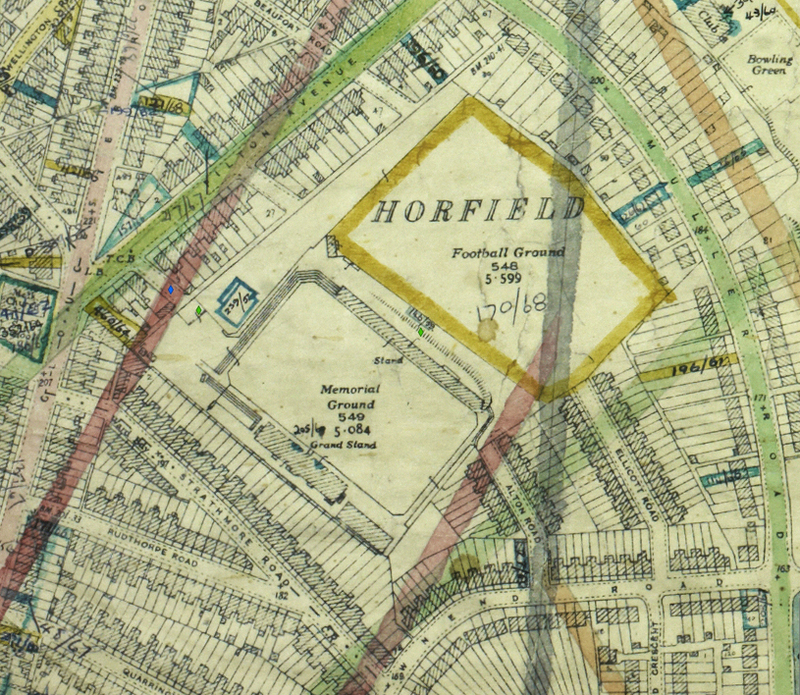 Is the heritage significance of a 93-year-old sports ground also of no interest? Why are the wishes of locals ignored? Anyway, isn’t a war memorial a war memorial – and not an unused brown field site? Sainsbury’s claims it has values. Their values are not evident in their hypocritical plans to destroy a famous sports ground. Values and long-term financial success go hand in hand. Whither Sainsbury’s? The Directors of Bristol Rovers possess a war memorial. They have responsibilities as the custodians of a heritage asset. When will they be responsible and respectful? UWE are party to a blunder. Are they as guilty as their partners, of trampling on the memory of the fallen sportsmen soldiers (killed in war, often at about the same age as UWE students)? Why did Bristol City Council – and others who should know better – not stop this nonsense? Destroying a war memorial is wrong. Simple really. 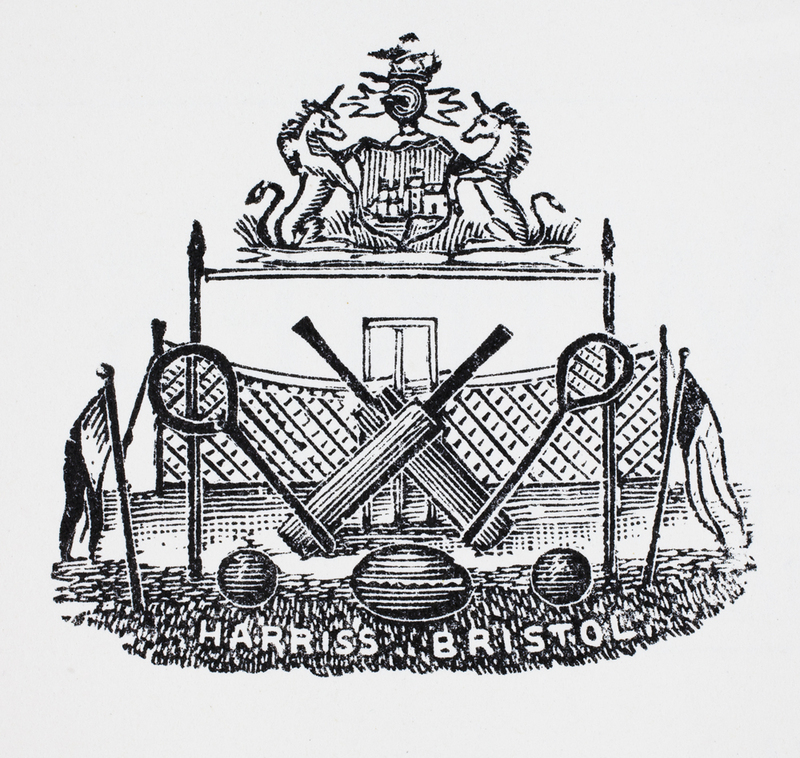 Let’s celebrate and renew a great Bristol sports ground. And pass it on. Cheers then, and Merry Christmas. Resolution for 2015: shop local, shop happy! *Bristol Record Office reference: BRO 41582/IM/HM/3. This entry was posted in Uncategorized and tagged BCC, blunder, BRC, BRFC, card, Christmas, Joni, Mitchell, Pearce, Rovers, UWE, values on December 24, 2014 by jamiecarstairs. If you liked the above recording, you may like this short video: Ninety-Three Years At The Mem (6 June 2014). The strength of feeling for the war memorial sport ground can also be gauged by these Bristol Rugby fans’ memories. See also In memory of sporting heroes lost (Bristol Post, 15 April 2014). 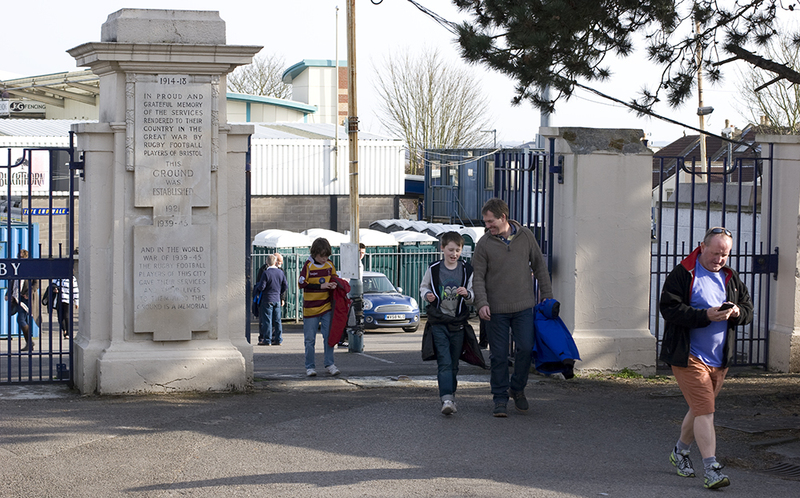 The Memorial Ground also features in Rovers fans’ memories, in this entertaining blog thread from the Bristol Rovers Independent Fans’ Forum: The Museum of Gas. “To look backward for a while is to refresh the eye, to restore it, and to render it the more fit for its prime function of looking forward.” (Margaret Fairless Barber). Why should some people, who should know better, get away with trampling on these memories? The BBC pose this key question: if a supermarket, some houses and a memorial garden replace the famous sports ground, will the original reason for the Memorial Ground being built be lost? Let’s support Mike Rafter: Let’s save, renovate and celebrate Bristol’s great sporting, heritage and community asset – and pass it on. 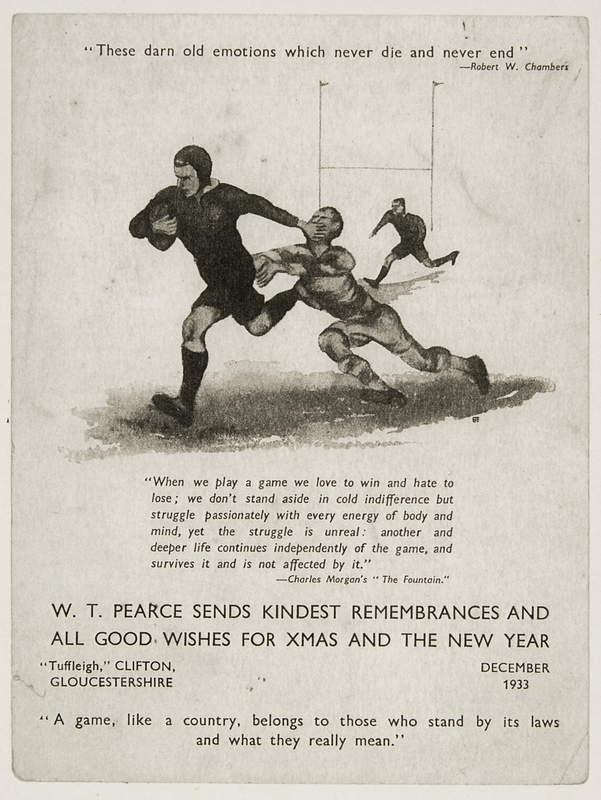 This entry was posted in Uncategorized and tagged atmosphere, Barber, BBC, Bristol, Bristol Rovers FC, Bristol Rugby, England International, Gas, Ground, Harriss, home, homely, Memorial, memories, memory, Mike Rafter, Museum, Rafter, remembrance, soul, video on December 6, 2014 by jamiecarstairs.